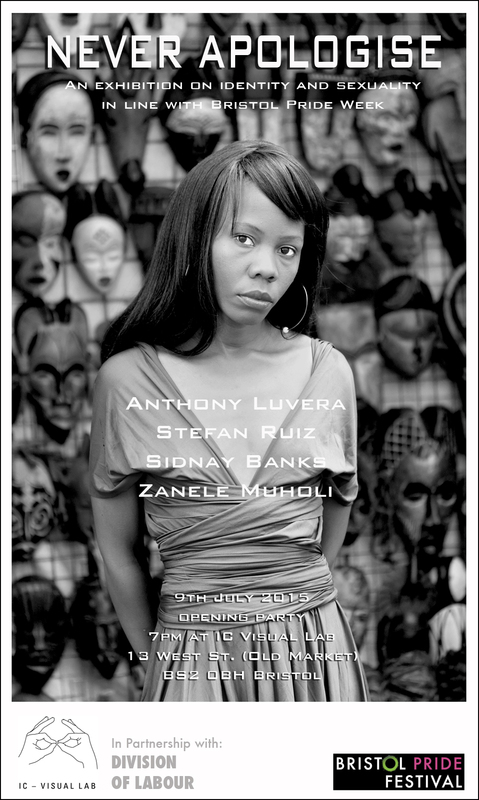 Featuring the work of Anthony Luvera, Stefan Ruiz, Sidnay Banks, and Zanele Muholi. Visual narratives play a part in constructing the roles we make for ourselves as well as those that are constructed for us. This group exhibition explores notions of identity, sexuality and how LGBT people are represented in society. Supported by Division of Labour and Bristol Pride Festival.